Ladies, it's time to get that second TV! Super 14 is around the corner, Currie Cup not far behind, the English Football Leagues are getting into the business end, the Aussies are soon to arrive for part 2 of the test and one-day cricket series ... and now last years successful Varsity Cup is back and will take over the small screens every Monday for the next two months. Varsity Cup Champion, Francois Pienaar announced " We're taking Mondays Back!" at the announcement of the fixtures for the tournament. 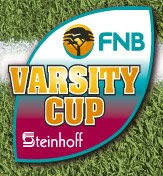 The Varsity cup, with the help of buy-in from sponsors and the massive publicity it received last year (it's first), seems to have surpassed the club competitions in stature and is fast looking like it may eclipse the Currie Cup as the fans' local rugby tournament of choice. At the very least, its providing the provincial selectors with a much more realistic base for evaluating potential recruits. ... And by all accounts it's a great evening out! As a the first spotlight of the year I have decided to feature a doyen of SA music, someone you has wowed audience's since the mid eighties and the radio waves not long after. 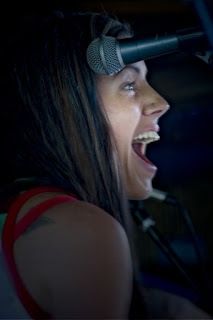 Wendy Oldfield began her music career in 1983 when the founder members of Sweatband, a small garage band which became one of the leaders of South Africa's 80's pack of rock bands that many swear was a golden age for this genre. Remember éVoid, Petit Cheval, Bright Blue, Tribe after Tribe and a band I always had a soft spot for, The Helicopters? The demise of Sweatband saw Wendy pursuing a solo career and I think it would be true to say that she has purposefully ensured that her productions remain genre non-specific. Five solo albums later and one reportedly in the works Wendy Oldfield is sure to remain in the country's consciousness for many years to come.Her style has become more 'worldy' as she has matured and her music has become celebratory African. Once known for her tireless gigging, at one stage averaging over 100 appearances a year over a 15 year period, she has so many other projects, and of course a family, so catching her live, particular here in Cape Town is now something you cannot afford to miss. This Saturday she is performing at a special venue a little way down the road from Eishman's abode. So if you are able, I strongly suggest spending a Saturday afternoon listening to one of South Africa's musical doyens at the Cape Farmhouse in the hamlet of Scarborough. 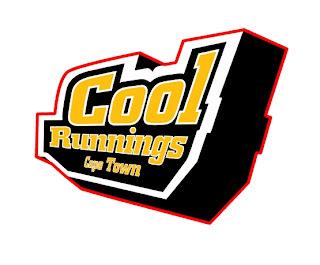 Yesterday I visited Cool Runnings in Bellville, Cape Town for the first time. I have known of the existence of the steel version of the sport for some time, but have never given it a try. There is a 821m steel half-pipe that twists itself down a Bellville hill that sends you careening down on cleverly designed bob sleds. The sleds and pulley system (that gets you up the 429m worth of hill with no effort) was actually designed and in 1976 and 1978 respectively and there are now over 300 sites all over the world. It'easy to see why, the systme is simple ... and fun! Sitting on the lift going up the hill, there as a great feeling of anticipation as you watch others speeding down the pipe and once you get to the top, the easy to use sled design allows you to enjoy the ride at a pace you desire ... or the person in front of you does. The premises is extremely well managed and the staff helpful and I appreciated the system of transferrable tickets, something very refreshing. What this means is the tickets you purchase that are valid for multiple rides, remain valid for future days should you not use them all on the day of purchase, and can be given to others to use. This makes what initially seems as an expensive afternoon's entertainment suddenly becomes very, very reasonable. Watching the pilot of a potential television program by cartoonist Zapiro (Jonathan Shapiro), it seems a shame the SABC has taken around nine months not to make a decision whether to commission a series called Z News. Fashioned on the UK institution Spitting Image, the show proposes to take the (in)famous Zapiro critical look on the South Africa's politicians and current affairs to a much broader audience. The producers, Zapiro and Thierry Cassuto, were hoping to have the program aired before this year's elections with the aim to help educate the voting public to critically analyse candidates, parties and issues. However nine months after the pilot was handed to the SABC nothing was come to fruition. So we can currently view offerings here and at this Facebook group. You can also click here and add you voice to get this show on to South African television.